The Mabola Protected Environment near Wakkerstroom, Mpumalanga. Image: Suzanne Powell for CER. Last week, the coalition of eight community and civil society organisations that is resisting Atha-Africa Ventures’ proposed coal mine inside a Protected Area and Strategic Water Source Area in Mpumalanga, launched new legal proceedings in the Mbombela High Court. The new proceedings are a judicial review application to set aside the decision of the Mpumalanga Department of Environmental Affairs to grant an environmental authorisation to Atha for its proposed Yzermyn underground coal mine, and the decision of the Mpumalanga MEC to dismiss the coalition’s appeal of that environmental authorisation. The review application is coupled with an interdict preventing the start of any activities at the proposed mining site pending the outcome of the review. having failed to consider the greenhouse gas emissions of the proposed mine and its climate change impacts. Atha says it hopes to export up to 67.4% of saleable coal product from the proposed mine. The remaining 32.6% it expects to supply to Eskom power stations. This suggests that the project is not aimed at ensuring local energy security. Atha claims that the proposed mine will create 576 jobs, but its consultants say most of these jobs will not be sourced locally. Atha has failed to address the agricultural and tourism-related jobs and livelihoods that will be lost if the mine goes ahead. Properly considered therefore, there is little in the proposed mine that will benefit the local population. To the contrary, local communities would be negatively impacted by the proposed mine, including because their access to water would be restricted since the mine would cause the groundwater levels to drop and springs to dry up. Water would also become contaminated. Further downstream of the proposed mine, river water is used by farmers for significant numbers of livestock and for crops, and also by hundreds of farmworkers for domestic use. Moreover, since part of the proposed mine is a strategic water source area, disrupting that water supply will have a national economic impact. 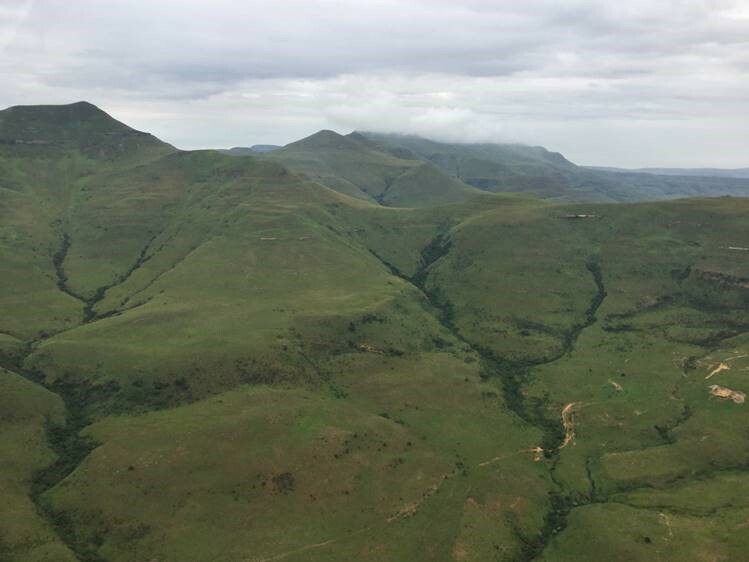 Atha was controversially granted a mining right by the Minister of Mineral Resources in 2015, despite the declaration of the Mabola Protected Environment by the Mpumalanga MEC in 2014. Atha received approvals from the Mpumalanga Environment Department, the Department of Water & Sanitation and the Department of Mineral Resources in 2016. Thereafter, it also received permission from the former Minister of Mineral Resources, Mosebenzi Zwane, and Minister of Environmental Affairs, Edna Molewa, under the Protected Areas Act. Many of these approvals were initially resisted by the various departments, and court proceedings have revealed disagreement amongst officials. The Portfolio Committee on Environmental Affairs has expressed concern about the proposed mine, and has interrogated Minister Molewa and the Department of Environmental Affairs about their decision to approve the proposed mine on a number of occasions. Every regulatory approval for this proposed mine has been challenged by the coalition through administrative appeals and High Court proceedings. Access copies of all the appeals and litigation in this matter here. The coalition believes it has good prospects of success, and that the approvals will be set aside by the courts in due course. If necessary, the coalition will take this matter to the Constitutional Court. CER attorney Catherine Horsfield says, “The proposed mine would fall within a Strategic Water Source Area, which means that the area has been identified as crucial for the water security of South Africa and its people. “The proposed mine would be located in a water source of the Vaal River System, which supports the water needs of South Africa’s economic hub, Gauteng. The proposed mining area also falls within the headwaters of the Usutu River which flows through Swaziland and, after joining the Pongola River, flows into Mozambique. Consequently, the health of this river system is also relevant to South Africa’s international obligations. All of these users will be affected should a source of those rivers be compromised. The coalition challenging this proposed coal mine includes the Mining and Environmental Justice Community Network of South Africa, groundWork, Earthlife Africa Johannesburg, BirdLife South Africa, the Endangered Wildlife Trust, the Federation for a Sustainable Environment, the Association for Water and Rural Development (AWARD) and the Bench Marks Foundation, and is represented by the Centre for Environmental Rights. For media queries, please contact Annette Gibbs on agibbs@cer.org.za or 082 467 1295.